They may look alien, bizarre, and out of this world, but oyster mushrooms are quite the treat. With a tender bite and a silky texture, this elegant fungus more than lives up to its aphrodisiac namesake. Pairing with fresh sage in a light butter cream sauce brings out its earthiness, but your taste buds will be teleported to a whole other dimension. 1. Cook the pasta in a large pot of boiling, salted water until “al dente,” about 8-9 minutes. It should be firm to the bite, but not hard. 2. In a large skillet over medium/low heat, heat 2 tablespoons of butter with 1 tablespoon of olive oil. Cook the garlic until fragrant (about 30 seconds), then add in the mushrooms and cook until tender and lightly browned (about 5–7 minutes). 3. Add the minced sage and remaining 2 tablespoons butter. Stir in the half & half, grate in about 1/4 teaspoon fresh nutmeg. 4. 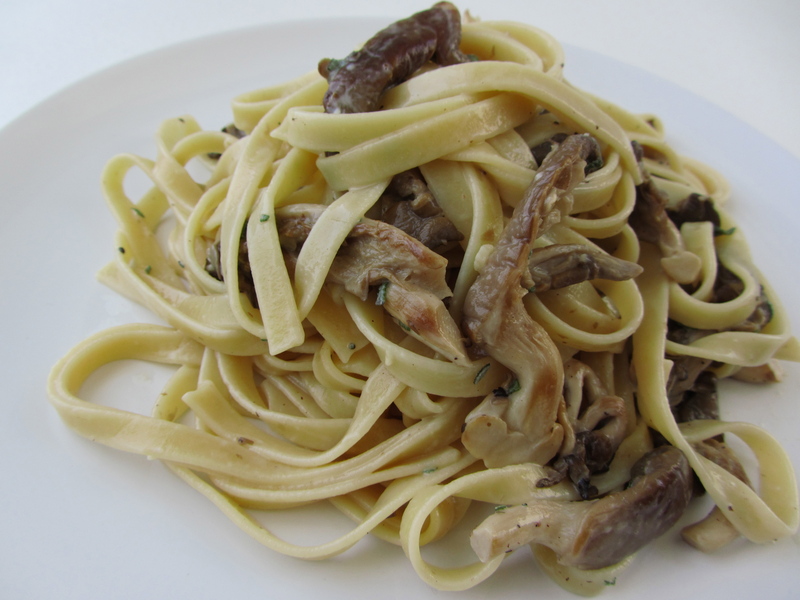 Reserve 1 cup of the cooking water, then drain pasta and add to the skillet with the mushrooms. Gently toss to coat, using reserved pasta water if needed to thin out the sauce. Turn off heat, toss in parmesan cheese. Season to taste with salt and pepper. * Don’t be intimidated by the mushroom. They grow in clusters; to prepare them, trim off the bottom of the large stem and then the individual caps will easily pull apart.